Electronic data processing equipment includes items such as desktop, laptop and tablet computers, and smart phones but may also include network-connected copiers and printers, and voting equipment. MCIT’s electronic data processing (EDP) equipment coverage is designed to provide physical damage coverage specific to the unique exposures of sensitive computer-related equipment, software and data. When equipment accepts and manipulates data or is connected to a computer system, members have the option of covering it as either contents, miscellaneous personal property or EDP equipment. Although the cost of EDP coverage is slightly higher than contents or miscellaneous personal property coverage, the advantages of having enhanced EDP coverage is generally beneficial to the member. EDP coverage is designed for the unique exposures inherent in sensitive, electronic equipment. EDP coverage is preferable over other coverages for several reasons. Mobility: Unlike contents coverage that requires equipment to be inside a covered location or within 500 feet of it, EDP coverage applies to the equipment wherever it is located. This flexibility caters to equipment, such as laptop/tablet computers, survey equipment and smart phones that are often mobile and used in the field. Changes in temperature: Unlike contents coverage, EDP covers damage to equipment when caused by dampness or dryness of the atmosphere and extremes or changes of temperature (whether atmospheric or otherwise). Power surge: Unlike other coverages, EDP coverage applies to loss or damage caused by power surge, blackout, static electricity or brownouts, whether they occur on or off the member’s premises. For example, if a 911 system is damaged in an electrical brownout caused by spikes or reductions in current, it would be excluded under contents coverage, it would likely be covered but under EDP coverage. Replacement cost coverage: Unlike miscellaneous personal property coverage that provides coverage on an actual cash value basis, EDP provides coverage on a replacement cost basis. Valuation is therefore made on the cost of new equipment without a reduction for depreciation. Electronic data processing coverage is provided to members on a blanket basis. This means that a member’s limit of coverage and the equipment covered is derived from an EDP inventory maintained by the member. The EDP inventory must detail the specific equipment to be covered and its current replacement cost value. Instead of having to schedule each piece of equipment with MCIT, a member only need to add the equipment it wants covered to its EDP inventory and submit it to MCIT each April. “EDP inventory” is a defined term in the MCIT Coverage Document. It places greater importance on the member’s role in maintaining a single, accurate list of all EDP equipment the member wants covered under its blanket limit. As a convenience to members, it is not necessary to report all newly purchased or removed equipment to MCIT during the course of the year, as long as the EDP inventory is current when submitted in April. A member should report and discuss large changes in its EDP inventory, such as when a new server is acquired, with its MCIT risk management consultant, as this may involve increasing or decreasing the blanket limit. A member has four pieces of EDP equipment listed on its EDP inventory with a combined total replacement cost value of $2,200. The inventory was submitted to MCIT in April when requested, establishing a blanket coverage limit of $2,200. Whether one or all four of the items is damaged in a loss occurrence, the total coverage limit available is $2,200. The following September, the member purchases a new color printer valued at $5,600 and added it to the EDP inventory. In October, the new printer was damaged beyond repair after a water pipe in the office broke. Question: Is the damaged printer covered? Answer: Yes, because it was added to the member’s EDP inventory when purchased. However, the coverage limit available to repair or replace the printer is limited to the blanket limit of $2,200 on file with MCIT. Therefore, although the new copier is covered, the coverage is not sufficient for the entire loss. MCIT pays the blanket limit of $2,200, and the member is responsible for the balance. Recommendation: Each time a member adds a piece of equipment to its EDP inventory, the blanket coverage limit should be reviewed and determined if it is sufficient to cover the new piece of equipment. In this example, the member should have submitted its updated EDP inventory in September, requesting that the blanket limit be increased from $2,200 to $7,800 to ensure the new copier and existing equipment are adequately covered. Members can submit an updated EDP inventory as often as they want, not just in April when it is required. A member has 40 pieces of EDP equipment listed on its EDP inventory with a combined total replacement cost value of $750,000. The EDP inventory was submitted to MCIT in April when requested, establishing a blanket coverage limit of $750,000. The following November, the member purchases a new server valued at $35,000 and added it to the EDP inventory. The next month, the server was damaged by a power surge damaging it and another $150,000 of equipment on the EDP inventory. Question: Is the new server and other damaged EDP equipment covered? Answer: Yes, the new server is covered because it was added to the member’s EDP inventory upon purchase in November. Because the existing blanket coverage limit of $750,000 is sufficient to cover both the new server ($35,000) and the other equipment ($150,000), there is sufficient coverage to pay the entire loss. Recommendation: Each time a piece of equipment is added to the EDP inventory, the member should review the blanket coverage limit and determine if it is sufficient to cover the new piece of equipment. In this example, the existing blanket limit of $750,000 can easily absorb the value of the new server, plus up to $715,000 in other damaged EDP equipment. It is important that members assess the likelihood of a single loss occurring that would require the entire blanket limit of coverage. If in doubt, the member should err on the side of reporting the updated EDP inventory to MCIT to increase the blanket limit. Members can submit an updated EDP inventory as often as they want, not just in April when it is required. A member has 15 desktop computers and monitors listed on its EDP inventory with a combined replacement cost value of $20,000. The EDP inventory was submitted to MCIT when requested in April, establishing a blanket coverage limit of $20,000. In July, the member purchases three laptop computers valued at $3,600 but did not add them to the EDP inventory. When the member submitted its updated EDP inventory to MCIT in April the following year, the three newer laptop computers were not included. In July of that year, two of the newer laptops were damaged in a car fire, resulting in $2,400 damage. Question: Are the two damaged laptops covered? Answer: No, because the member did not include them on the EDP inventory that was submitted to MCIT. Although the $20,000 blanket coverage limit was more than sufficient to cover the damage, the member failed to record the items on its EDP inventory that was submitted to MCIT. Coverage applies to only those items on the EDP inventory. Recommendation: Develop protocols assigning one individual to add and delete EDP items from the member’s EDP inventory. That individual can also ensure that the member’s updated EDP inventory is provided to MCIT in April when requested and other times throughout the year when necessary. Coverage applies to EDP equipment wherever it is located. This includes equipment permanently or temporarily stored in or on a nonmember facility, property in transit and property used in the field. Any EDP property acquired after the member submits its updated EDP inventory to MCIT is automatically covered up to its existing blanket limit until a new EDP inventory is requested, as long as the member includes it on its EDP inventory when acquired. EDP coverage includes a limit of $100,000 per occurrence for reproducing or restoring back-up data that may be lost or damaged due to a covered loss when stored in a building 100 feet or more away from the primary media and data location. EDP coverage applies while computer equipment is in transit or being moved to a safe location to avert a loss or damage. EDP coverage applies to all equipment on a member’s EDP inventory that is leased or rented from others to the extent the member is legally liable. Reproducing or restoring data, including software up to a limit of $100,000, is covered when lost or damaged as a result of a covered loss. Members are required to provide their current EDP inventory to MCIT each April. All EDP items on that inventory are eligible for coverage, including all items acquired by the member after the inventory is submitted to MCIT, as long as the member adds those items to its EDP inventory up to the existing coverage limit. Recognizing the potential that newly purchased or newly acquired items may not be known when the EDP inventory is submitted to MCIT in April, a 60-day grace period is provided, allowing a member to add items to its EDP inventory that were purchased within 60 days of submitting the inventory to MCIT. ARMER/800 megahertz equipment: The sophisticated nature of this equipment is appropriately covered under EDP. This includes equipment located on towers, in the small building at the base of a tower or in the sheriff’s office; highway and emergency management equipment; and handheld radios. Voting equipment: This includes electronic tabulators, ballot markers and ballot readers. E911 systems: This equipment is sensitive to power surges, blackout and brownout conditions. Electronic video and teleconferencing equipment: This equipment is also sensitive to power surges, blackout and brownout conditions. Laptops in sheriff’s squads: Many laptops utilized by law enforcement are portable, moving between the squad car and the office. Because of this mobility, MCIT recommends covering them under EDP coverage. Auto coverage applies if the laptop is permanently mounted in the squad. 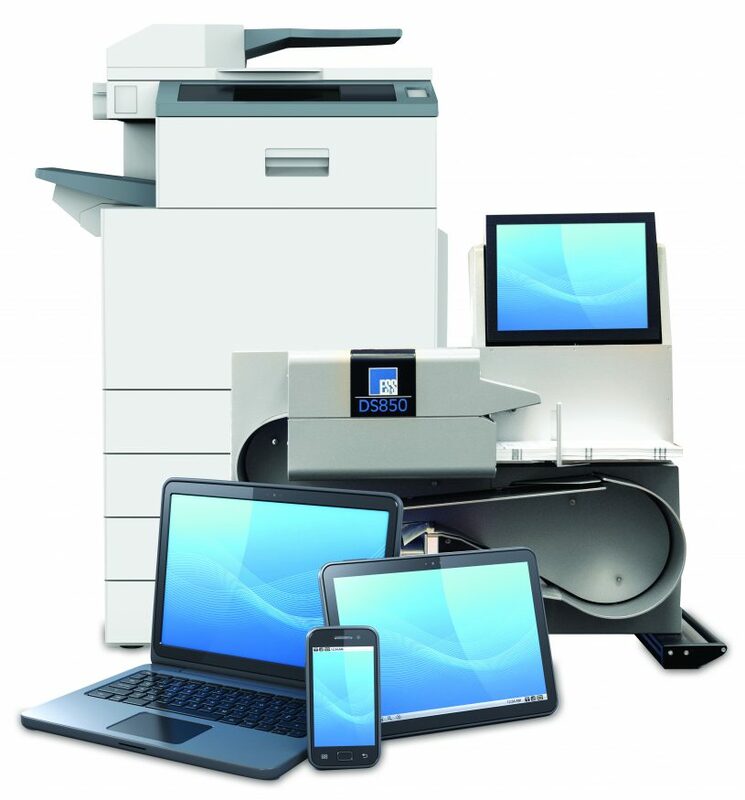 Copiers and printers: This equipment when connected to computer systems and networks is subject to some of the same exposures as desktop computers and printers. GPS equipment, survey equipment and water testing equipment: This equipment is becoming more sophisticated and often has the ability to accept and manipulate data. MCIT has developed a sample EDP inventory template for member’s use. The template includes all desired information fields (item description, model/serial number, acquisition date and replacement cost value) programed with an auto-total feature. The EDP inventory template can be downloaded from the online Resource Library at MCIT.org/resource/. Use of this template is not required, recognizing some members have developed an EDP inventory that includes additional information specific to their needs and operations. Understand the differences between MCIT’s contents, miscellaneous personal property and electronic data processing (EDP) equipment coverage. The different lines of coverage may have varying deductibles, valuation methods (including actual cash value or replacement cost), limitations and exclusions. Review both contents and miscellaneous personal property schedules and decide if electronic equipment may be better suited for MCIT’s electronic data processing coverage. If so, add them to the EDP inventory. Maintain and update an EDP inventory, including item descriptions, model/serial numbers, acquisition date and replacement cost values, by adding new items when acquired and removing items no longer in use. Develop protocols assigning one individual to add and delete EDP items from the member’s EDP inventory. That individual can also ensure that the member’s updated EDP inventory is provided to MCIT in April when requested and other times throughout the year when appropriate. Manage the blanket limit, especially members with smaller EDP blanket limits. It is important to evaluate whether the purchase of additional (especially larger value) EDP equipment affects the overall coverage limit. Members can submit an updated EDP inventory as often as they want. Discuss the acquisition of large-value equipment with the member’s MCIT risk management consultant, as the blanket limit of coverage may need to be increased. MCIT encourages members to contact their risk management consultant toll-free at 1.866.547.6516 with questions concerning electronic data processing coverage.